I thought I might post another little piece that helps flesh out where I am coming from a bit more. I do not want to seem reactionary or vindictive in any way. This is something I have been thinking of for a long time. Since I know little about Ft. Wayne I might just assume the issue is the same there, but do not know so I will not say. I have just said why I think the upcoming symposium is going to be a bust. I say that, and news comes to my attention about one bright spot. I think the art of preaching is not something we need to rediscover. Many pastors are very good at telling stories and doing that well. What we do need to rediscover is a good reason to preach in the first place. Which I think means rediscovering the only story the church has to go on and proclaiming that from our pulpits. 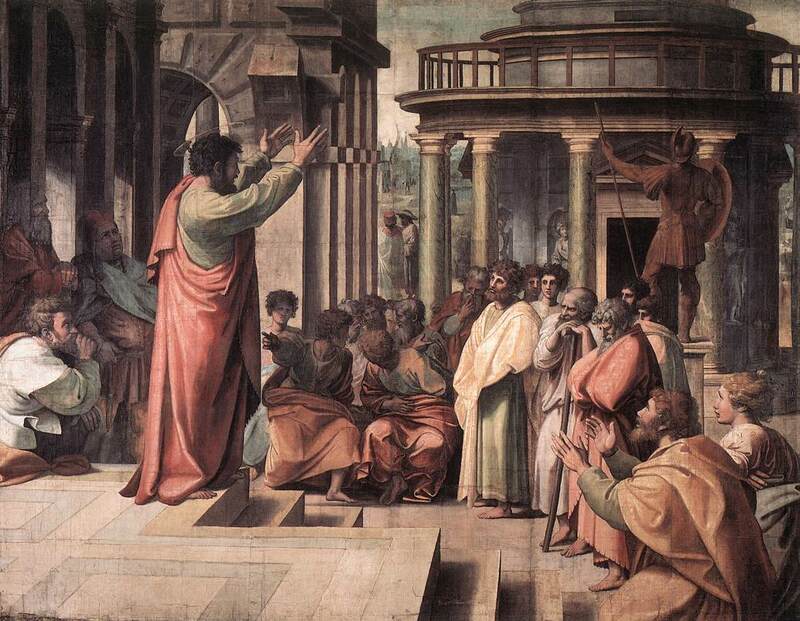 After that is accomplished, the artfulness of preaching is then put in its proper place. To help us begin I turn to Luther and his writing on the New Testament, which is the Mass. I think he helps illumine the point. When speaking of the Mass Luther states that if the people do not grasp and comprehend the words of Christ and believe them, what do we need the artfulness of the Mass for? If the people do not hold tightly and cherish the words of Jesus, “This is my body given for you, this is my blood of a new testament shed for you for the forgiveness of sin” and believe them to be His gift then the priest would do well to get rid of the bells, chausibles, genuflections, elevations, chants, and all the external beauty of the Mass because the internal, or Spiritual, beauty of the Mass is not believed and cherished by the people, and it is an empty thing and does them no good(LW., Vol. 35). Stripe away all the things that are not necessary to proclaim to the poor souls the Gospel and when they grasp it let all the beauty, internal and external, unfold. How does this relate to our current topic of rediscovering the artfulness of preaching? The problem seems all the more compounded in our day. Most certainly Luther is assuming that the priest in any place knows the depth of the Gospel of the Sacrament of the Mass. Luther also assumes the same priest will be able to proclaim that Gospel to his people and from there move toward the celebration of the full internal and external beauty of the Sacrament of the Mass in that place. Why is the problem compounded in regards to preaching in our day? I am afraid not only do the people perhaps not know why they are listening to a man preach to them, which in turn leads to worse preaching, but that also the preacher might certainly be ignorant of why he himself is preaching in the first place! The problem is then ignorance and ignorance! These poor people are hearing little to no Gospel from their preacher and their preacher might have no good reason to preach another way because the people make no peep either for ignorance or fear! And, there is little discussion on preaching to influence him. The people fear because they do not know if they can speak to the pastor about such things. I am afraid this is a most terrible place for any man to be. Be he a pastor or layman. This is why I think the artfulness of preaching is better buried and put away for the time being. There are obvious questions that arise though. How can a pastor not know the reason for preaching? For the purposes of this little essay we will not explore such questions because that question occupies an essay all for itself. I will now move to some concluding remarks. Here is St. Paul doing what I would like us to do. posium would have a different title. Also, visits from district presidents to parishes would look differently than they currently do. Many want to be great preachers according to their seriousness and because of that they want to rediscover what seems to be a lost art to preaching. I think a current thought is if we have artfulness the proclamation of the Gospel is stronger or more beneficial and clear. Again, I disagree that there is a lost art and that this is the point in time for the church to worry about increasing such things. What I AM worried about, as I hear and see all the things from within the Synod and without, is that God might be the thing that is lost, suffocated, and buried among all things artful in the church. Maybe HE needs be rediscovered! For, as Luther pointed out, if we have great beauty and artfulness but no Word from the lips of our Savior to cling upon, believe, and cherish, we have nothing. If the Word of God is gone God himself is gone! For as we Lutherans believe, God has bound himself to His Word for us. Yes, again I will say, I hear a great deal of stories and jokes, I see a great many pictures across screens, movie clips, visual aids, and talk about God which all try to communicate some point that is apparently very important. I hear a great many voices quiver and crack throughout a sermon. But for all this art, beauty, help in communication, and rhetorical force we have covered over and seemed to have pushed aside the one Being worthy to occupy the hearts and minds of His People. And we seem to have been convinced to do this because the people are ignorant and need these things to make the Gospel come alive. If there is one thing I know and believe with all my heart it is this; the Gospel needs no help from the minds of men. It is man who is in total despair and destruction without the good news of God for us. This then brings up what would hopefully be a longer conversation, but one worth having. How is it that preachers and churches can suffocate and bury God in their preaching?